ASPCA’s No Pet Store Puppies Day is heralded today as part of the on-going push to end the cruelty of puppy mills. By spreading the word that most dogs in pet shops are from puppy mills, the effort to end sales of puppies (and kittens) in pet shops grows stronger. Once the reality of that sweet doggy in the window is known, public enthusiasm to buy from a source that abuses breeder dogs for their “useful” lives wanes. 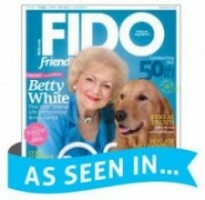 A ban on sales of pets has been enacted in more than 50 cities (Best Friends) so far. 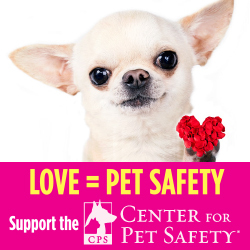 An update on pet shops I wrote last year put the number of pet shops nationwide at 9,000 and those pledging not to sell pets at 2000, up from 500 in 2010 (HSUS). A year ago I was so excited to hear about the new tool ASPCA released so consumers could search from a database of more than 10,000 photos of commercial puppy mills to see conditions and be informed as to specific pet stores supplied within the last year. 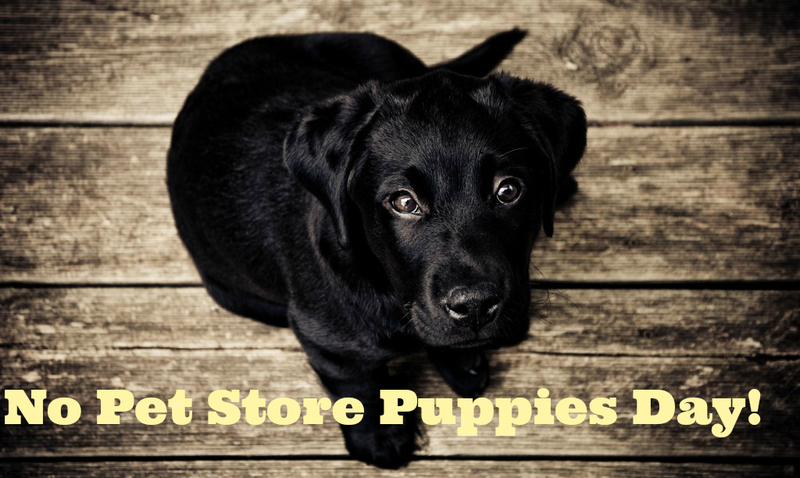 Enter the name of your local pet shop, and you’ll see which commercial breeder supplies their puppies. No more fraud on the public, or at least a whole lot less from pet shops! 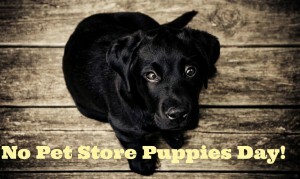 Sweepstakes & TweetChat for No Pet Store Puppies Day! You can enter to win a Barkbox subscription for one year! Against puppy mills? Join in the TweetChat, from 3 – 4pm (Eastern) today, hashtag #NPSPDay. Gather any tough questions you have — you’ll be talking to experts. There is also an action alert you may want to check out regarding enforcing the law on puppy imports. If you want to help spread the word about pet stores and their puppy mill connection, be sure to share this with all your friends and followers! I had no idea. Wish I had known. I would have mentioned it today on my blog. When the public learns about the horrors of puppy mills and the frustration of paying a lot of money for an unsocialized dog, the market will dry up. It's good to get the word out as often and strongly as possible. @Jan and Poodles From your lips...I so wish that were true. When more than 75% of the public are unaware of the situation, we have another generation or two to educate...very long term and worthy goals! Thanks for speaking up =). Well, what I know is that there are a ton of rescue dogs who are already trained and waiting to get a loving owner. Check out dog rescue sites. @Bob Pond That is true enough, Bob! It's wonderful to see them going home with a good family who will love them. Thanks for stopping by!